I’m skeptical about … opioids. Annals of Emergency Medicine, 2004. New England Journal of Medicine, 2016. What a difference a dozen years makes. After repeated brow-beatings throughout the late 1990s and early 2000s that doctors were not adequately addressing the analgesic needs of their patients, physicians began doling out opioids like candy—just as instructed. Pain, despite being entirely subjective, was declared the 5th vital sign (in addition to the objective measurements of blood pressure, pulse, temperature, and respiratory rate), and its rating on a 1 to 10 scale mandated by JCAHO (Joint Commission on Accreditation of Healthcare Organizations). In 2001 Congress declared the following decade to be one of “pain control and research.” The Center for Medicare and Medicaid Services introduced HCAHPS (Hospital Consumer Assessment of Healthcare Providers and Systems), surveys that tie hospital reimbursement to patient satisfaction focusing on pain control (among other things). Administrators began linking physician salaries to their Press-Ganey scores (satisfaction surveys that include questions on pain control). Were we really such a bunch of insensitive, uncaring, uncompassionate imbeciles who let people suffer simply because we could, or maybe did we know a thing or two about treating pain that our non-clinician colleagues didn’t? NEJM 2016; 374 (13): 1253-63. In the ER, where 70% of patients arrive with painful complaints, the relief of suffering is paramount, and I resented then being told that I was ignoring the needs of my patients, but not nearly as much as I resent now being told that I am also to blame for America’s “opioid epidemic.” There’s a fine line between addressing the analgesic needs of patients and being a sieve for drug seekers. I don’t know a single emergency physician who has knowingly withheld opioids from patients with legitimate pain complaints, but I can cite hundreds of cases where they were prescribed inappropriately to mollify patients, families, and administrators. Here are a few examples: poison ivy, sore throat, runny nose, half-inch laceration, paper cut, toothache, athlete’s foot, sunburn, pink eye, stubbed toe, acne. Need I go on? Despite being home to less than 5% of the world’s population, America consumes 80% of its opioids. This is a disgrace with consequences. Overdose is now the leading cause of accidental death in the US, surpassing even auto accidents. Every day more than 65 Americans unintentionally kill themselves with opioids, equating to 24,647 deaths in 2014. This tragedy was entirely predictable. Scold me for not giving opioids and now scold me for giving them? Sorry, not my fault. When you tie hospital reimbursement and physician revenue to patient “wants” rather than their “needs,” this is exactly what you get. Opioid: Scientific term for both natural and synthetic drugs with pharmacologic effects mediated by specific receptors in the nervous system (e.g. opium, heroin, codeine, hydrocodone, oxycodone, morphine, hydromorphone, fentanyl). These agents relieve pain, have euphoric effects, depress respiratory drive, and are addictive. Narcotic: Legal term for drugs defined by the US Controlled Substance Act, graded from most to least dangerous under schedules I through V wherein schedule I drugs are defined as those with high abuse potential, no currently accepted medical use, and a lack of safety even when used under medical supervision, while schedule V drugs are those with currently accepted medical indications, a low abuse potential, and limited physical and psychological dependence. Narcotics encompass a broad umbrella of chemicals; everything from street drugs like heroin, cocaine, MDMA (ecstasy), marijuana, and LSD, to prescription drugs like benzodiazepines (Xanax, Valium, Ativan), barbiturates, opioids, anabolic steroids, and amphetamines (Adderall, Ritalin). While all opioids are narcotics, most narcotics are not opioids. Tolerance: Physical adaptation to a drug where increased dosages are required to produce the same therapeutic or recreational effect. Physical dependence: Physical adaptation to a drug where the absence of the drug, or the presence of the drug’s antagonist, results in withdrawal symptoms. Psychological dependence: An emotional craving and preoccupation for the positive effects of a drug and/or a marked aversion to the negative effects of the drug’s absence. Abuse: Use of a drug for unintended recreational and/or psychological purposes. Addiction: Persistent, compulsive use of a drug despite negative consequences characterized by tolerance, physical, and psychological dependence. Note that while all long-term opioid use results in tolerance and some degree of physical dependence, when opioids are used for chronic pain they usually do not result in the psychological dependence that defines addiction (i.e. tolerance does not equal addiction). 30% of all adults report some degree of chronic pain, with 11% reporting daily pain. Since the year 2000, opioid prescriptions have risen by 50%, while the use of non-opioid analgesics has remained unchanged. In a dose-dependent fashion, between 9 and 17% of those prescribed daily opioids to treat their pain will experience at least one overdose event within 2 years. Of those suffering an overdose, 90% will continue to receive opioids. This has resulted in a near quadrupling in the overdose fatality rate since 2000. Heroin addiction increased from 380,000 in 1999 to more than 670,000 by 2012. When pharmaceutical companies changed their opioid formulations to limit abuse, an immediate increase in heroin use ensued. There are an estimated 2 million Americans who are currently abusing or have become addicted to opioids. Between 1999 and 2014, there were more than 165,000 opioid-related fatalities, far outpacing the number of combined war-related fatalities since WW II. When taken for chronic pain, only about 8% of users will develop psychological dependence, but if taken regularly in a community where street drugs are readily available, the addiction rates soars to 50%. 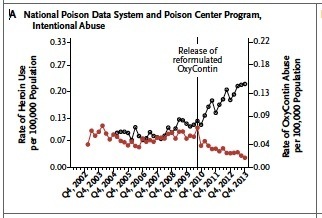 Heroin Use (black) vs Oxycontin Abuse (red) Pre- and Post-Abuse Deterrent Reformulation (NEJM 2015; 372: 241-8). With nearly half a million annual ER visits related to opioid misuse, these statistics trouble me greatly. Just last week I intubated another multi-drug overdose patient who had abused alcohol in combination with prescription benzodiazepines and opioids. 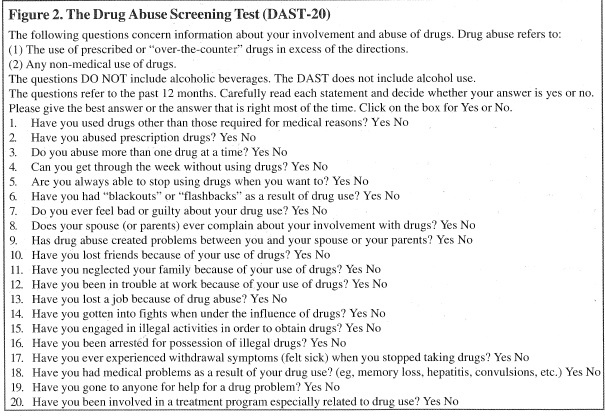 Every day drug-seekers hit me up, and it’s a lot harder than you might think to “just say no.” I had one patient tell me after dropping a number of “f-bombs” on the staff that if I didn’t give him what he wanted, he’d get me fired. Administrators don’t like complaint letters, and with most ER physicians working as independent contractors with “no-cause” termination clauses in their contracts, all it takes is a few disgruntled letters and they’re gone. This creates perverse incentives for physicians to continue prescribing opioids even when they aren’t indicated. It wasn’t too long ago that I had to write a letter of explanation to my ER director after a nurse complained about my delay in ordering additional narcotics for a patient who had already received a truckload, only to turn around a week later to write another letter of explanation to her insurance company as to why I had administered any opioids at all, given her record of doctor shopping and prescription drug abuse. And then there’s the woman I saw last month who was in the ER for the sixth time this year for dental pain (with no follow up visits to any of the multiple dental clinics to which she’d been referred), threatening that if I didn’t prescribe more Percocet, she’d turn to heroin. Furthermore, any self-inflicted overdose, she declared, would be my fault. With cigarettes and cell phone in hand, she instructed her daughter and husband to sue me if she died. When that tactic failed, I was subjected to increasing decibels of abuse, manipulation, and profanity, even threats of suicide. She wanted nothing to do with rehab. If I hadn’t spent 20 minutes of prep work before going to see him, I likely would have taken him at his word (doctors want to trust their patients) and prescribed additional opioids. It’s pretty sad that I have to jump through all these hoops and then spend another 20 minutes documenting everything in the EHR just to secure my job and limit liability. Meanwhile, all this time spent represents lost productivity. I could have taken care of two heart attack patients in the same amount of time it took to manage this one drug seeker. Not to mention that it’s downright enervating to deal with these sorts of folks every day. And don’t say, “Well, that’s what you signed up for.” I most decidedly did not. This epidemic was created by outside forces, not practicing clinicians. That’s what makes it so galling when physician representatives from the FDA directly blamed us for the problem in a recent New England Journal of Medicine article entitled “A Proactive Response to Prescription Opioid Abuse.” Excuse me, wasn’t it their agency that approved these highly addictive substances in the first place? And now they’re going to tell me how to fix it? Worse, there’s nothing proactive in the article—that horse left the barn a decade ago. Anything we do going forward will be strictly reactive. What the article fails to address is why physicians started, and continue, to prescribe so many opioids. Until doctors are given assurances that addressing pain with non-opioid medications and alternative treatments won’t get them fired, investigated, or otherwise censured, anything the FDA has to say on the matter is sure to fall on deaf ears. Timothy Rupp and Kathleen Delaney, “Inadequate Analgesia in Emergency Medicine,” Annals of Em Med 2004; 43 (4): 494-503. Robert Califf et al., “A Proactive Response to Prescription Opioid Abuse,” NEJM 2016; 373 (15): 1480-85. 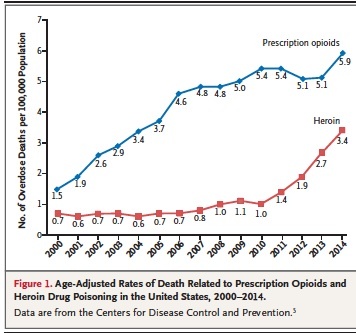 Richard Dart et al., “Trends in Opioid Analgesic Abuse and Mortality in the United States,” NEJM 2015; 372 (3): 241-8. 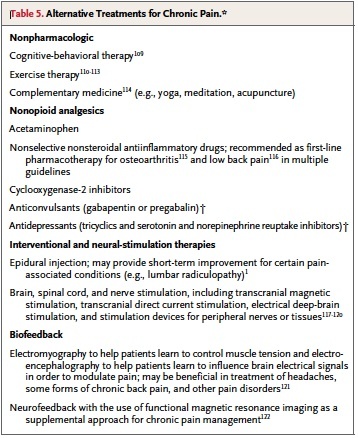 Laxmaiah Manchlkanti et al., “Current State of Opioid Therapy and Abuse,” Curr Pain Headache Rep 2016; 20: 34. Linda Lawrence, “Legal Issues in Pain Management: Striking the Balance,” Em Med Clinics of N Am 2005; 23 (2): 573-84. George Hanson, “The Drug-Seeking Patient in the Emergency Room,” Em Med Clinics of N Am 2005; 23 (2): 349-65. Nora Volkow and Thomas McLellan, “Opioid Abuse in Chronic Pain–Misconceptions and Mitigation Strategies,” NEJM 2016; 374 (13): 1253-63. Beth Han et al., “Nonmedical Prescription Opioid Use Disorders Among Adults Aged 18 Through 64 Years in the United States, 2003-2013,” JAMA 2015; 314 (14) 1468-78. Wilson Compton et al., “Relationship between Nonmedical Prescription-Opioid Use and Heroin Use,” NEJM 2016; 374: 154-63. Deborah Dowell et al., “CDC Guidelines for Prescribing Opioids for Chronic Pain–United States, 2016,” JAMA 2016; 315 (15): 1624-45. This entry was posted in Uncategorized and tagged narcotics, opioids, substance abuse. Bookmark the permalink. ← I’m skeptical about … low back pain (part 2).